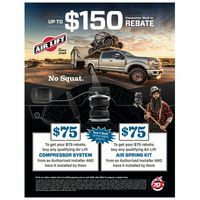 Air Lift Spring $75 + $75 Consumer Mail-In Rebate. To qualify for a $75 Authorized Installer rebate, you MUST buy a qualifying complete on-board air compressor system OR qualifying Air Lift air spring kit from an Air Lift Authorized Installer AND have them install the system/kit on your vehicle by 6/30/19. To qualify for a $150 rebate, you MUST buy BOTH a qualifying complete on-board air compressor system AND air spring kit from an Authorized Installer AND have them install both kits on your vehicle by 6/30/19. See your participating parts store for rebate details and form. Print an online rebate form at airliftcompany.com. 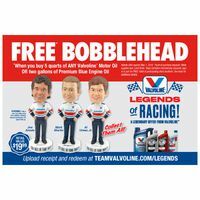 Offer valid April 1, 2019 - June 30, 2019. Limit of $150 in rebates per household or address. Requests must be postmarked by July 31, 2019. To check the status of your rebate, visit: airliftcompany.mycheckstatus.com. 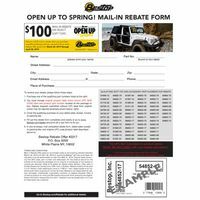 Receive a $100 mail-in rebate when you purchase a qualifying Bestop soft top, see part # list to verify. 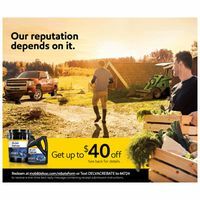 Rebate offer good from March 22, 2019 through April 30, 2019. See rebate form for qualifying part numbers and details of rebate. All requests must be postmarked no later than May 31, 2019. Limit one (1) redemption per customer. Go to Bestop.com/rebate to print rebate form and for additional details. 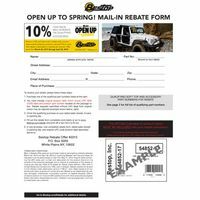 Receive a $50 mail-in rebate when you purchase a qualifying Bestop soft top, see part # list to verify. 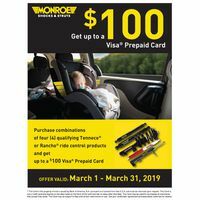 Rebate offer good from March 22, 2019 through April 30, 2019. See rebate form, page 2, for qualifying part numbers and details of rebate. All requests must be postmarked no later than May 31, 2019. Limit one (1) redemption per customer. Go to Bestop.com/rebate to print rebate form and for additional details. Receive a 10% cash back mail-in rebate when you purchase qualifying Bestop accessory, see part # list to verify. 10% rebate is calculated on total pre-tax amount. Offer good from March 22, 2019 through April 30, 2019. 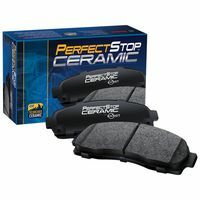 Purchase Perfect Stop brand brake pads online from myautovaluestore.com, mybumpertobumperstore.com or autoparts2020.com between January 25, 2019 and February 26, 2019. Offer expires 2/26/2019. Register rebate with your claim details online by clicking this link and filling out the rebate form. Rebate form must be submitted by April 25, 2019 and requests received after that date will not be honored. Limit 1 Rebate per person or household. Maximum per person or household: $10.00 total rebate. Rebate request must be made on the original form (linked above). Not responsible for: lost, damaged, misdirected, incomplete, incorrect, illegible or postage due requests. Offer not valid outside of United States and Puerto Rico. Requests from groups, P.O. boxes, APO/FPO boxes or organizations will not be honored, acknowledged or returned, and Auto-Wares Group of Companies reserves the right to confirm identification. Non-Conforming requests may constitute fraud. Offer cannot be combined with any other offer, coupon, or discount. Void where prohibited, licensed, taxed or restricted. Please allow 60-90 days after verification for shipment of rebate.